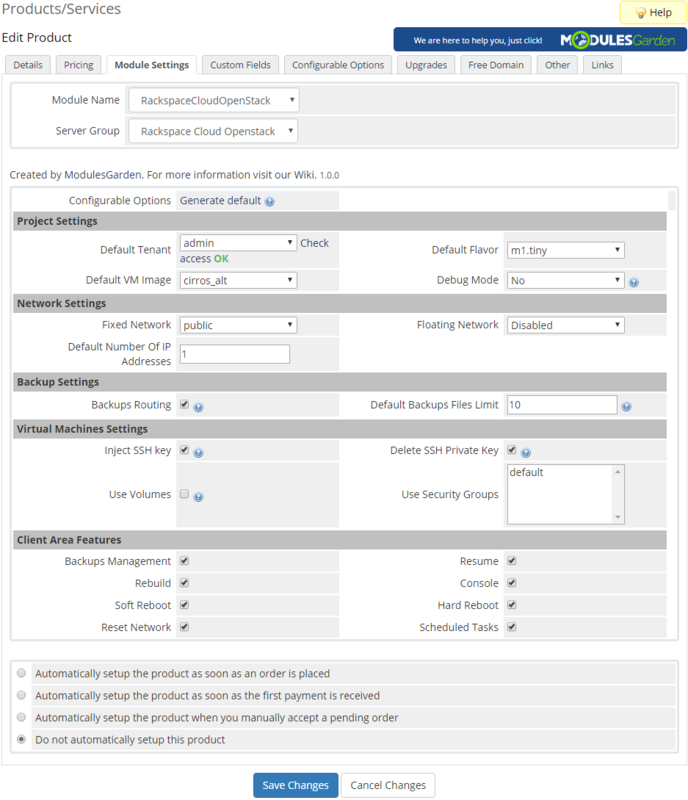 Rackspace Cloud OpenStack For WHMCS has been designed to automate the reselling and remote handling of virtual servers built on Rackspace Private Cloud foundation. 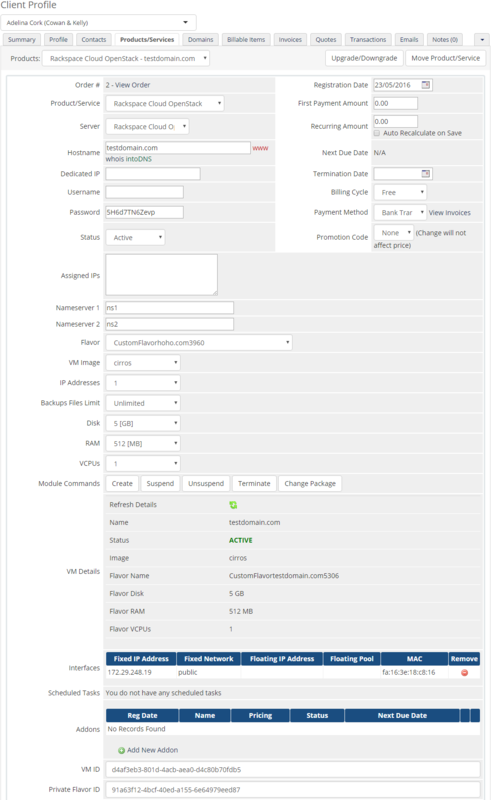 It is with its broad spectrum of features and access to configurable options that you will be able to easily customize products to satisfy different wants and needs of your customers. 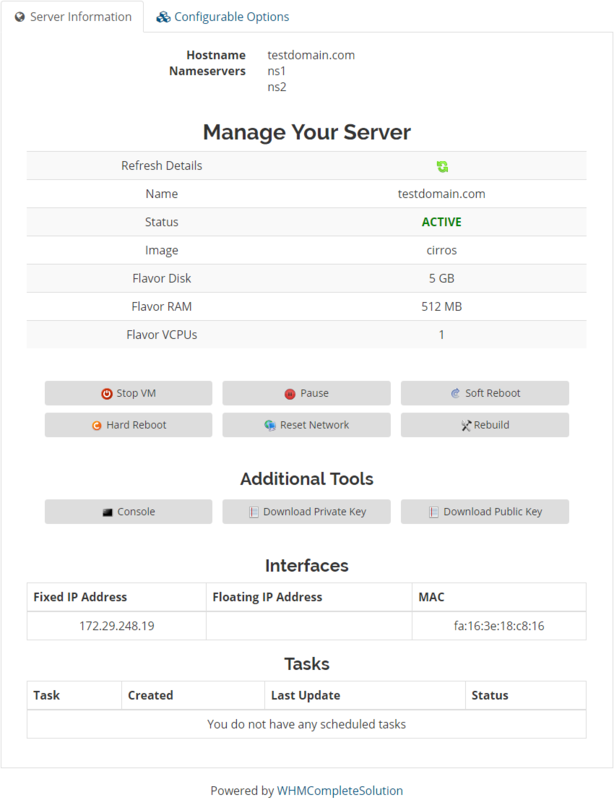 While you will be given means to exercise control over provisioned servers from your admin area, your client area will offer a great variety of tools to manage VPS servers in a well-organized manner. 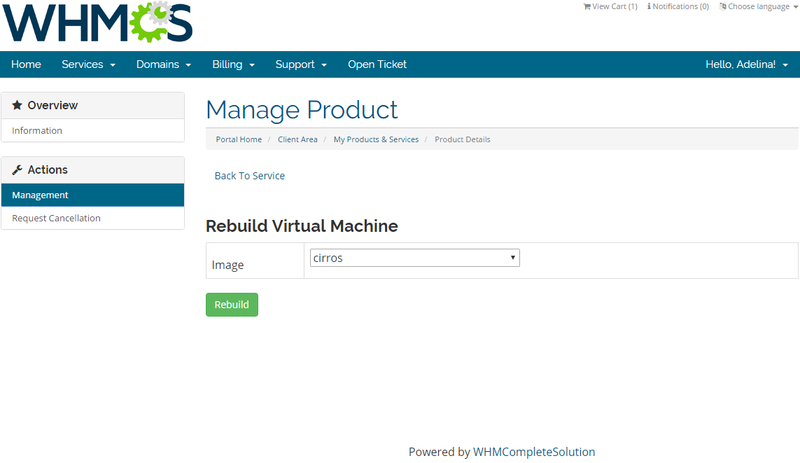 Customers will be hence allowed to display an overview of a virtual machine, alter its status, rebuild image and create backups. 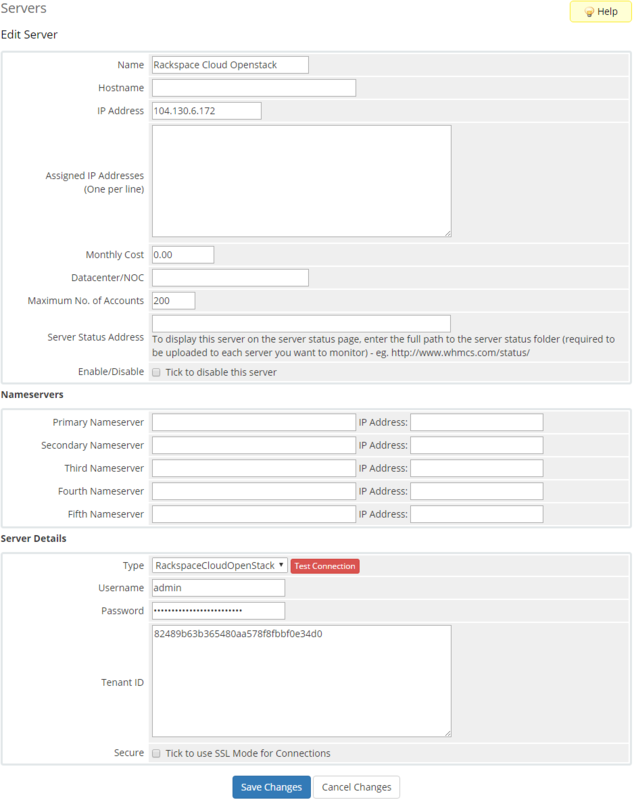 Of high practicality is also the option to access Spice console, download public and private SSH keys as well as monitor each scheduled task. 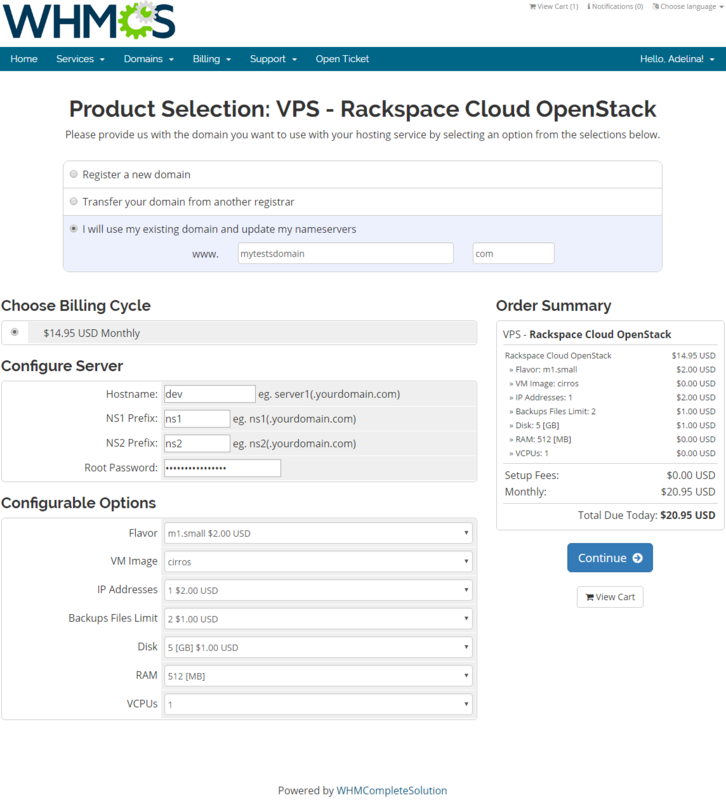 If you seek new ways to shoot up your sales or wish to make your offer more inviting, rely on the excellence of Rackspace Cloud OpenStack For WHMCS! Order the module right away and grant your clients everything they would expect to handle their virtual servers with exquisite care! 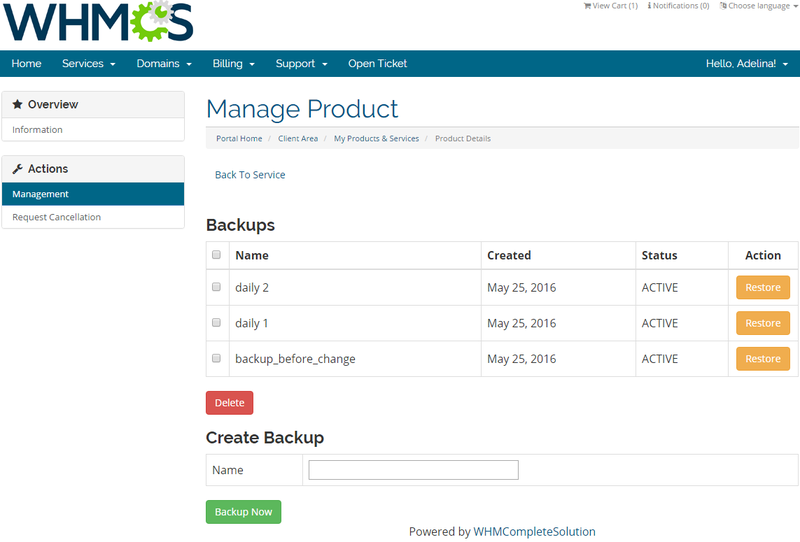 Supply bare metal servers automatically in WHMCS plus permit your clients to handle own servers remotely, trace details in graph form, manage rDNS records and more.